Spy Games have created a fantastic experience for any child who’s always wanted to be a Secret Agent! 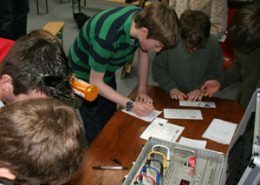 Invite your friends along to a secret location and take part in a variety of Spy Training such as Sniper Shooting, Code Breaking, Dodging Laser Alarms, Pistol Draw and Observation Challenges. We have 32 acres of grounds, large reception barn and classroom for all our secret training, sorry no Adults allowed into Top Secret areas only kids !! At our Spy HQ on the outskirts of Milton Keynes we offer a fantastic spy experience ideal for that special birthday or private occasion. 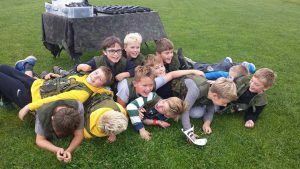 Our activities are suited for children from 8yrs upwards and we can cater for group sizes of up to 60 children. Sniper Shooting:- Under the watchful eye of our instructors you’ll be taught sniper techniques using our telescopic .22 air rilfes. 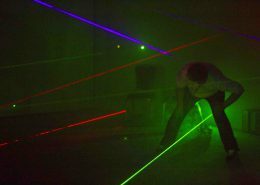 Obstacle Challenge:- You’ll need great communication to guide your fellow spies through the obstacles as they are blindfolded! The training lasts for around 2 ½ hrs although this can be extended if you wish to add something extra! 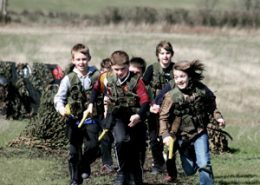 Additional elements can also be added such as off road Landrover rides, shelter building, airsoft shooting, rescue the captured agent and survival training. There is plenty of space at our HQ so bring along guests and family to capture and record your special day. We can also set up catering after the training as even spies and secret agents get hungry! 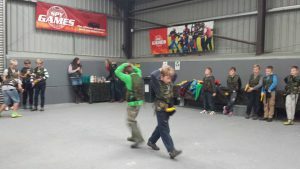 Wow...guns, rifle shooting, lasers & bombs ...what's not to like if your 11yr old boy with all your mates! 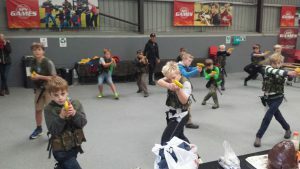 Thanks a million to Spy Games for making it an amazing afternoon ...and apologies to all parents if boys have returned wanting to be future SAS!